The town of Sutton, W.Va., in Braxton County, was populated by few more than 1,100 persons in 1911. 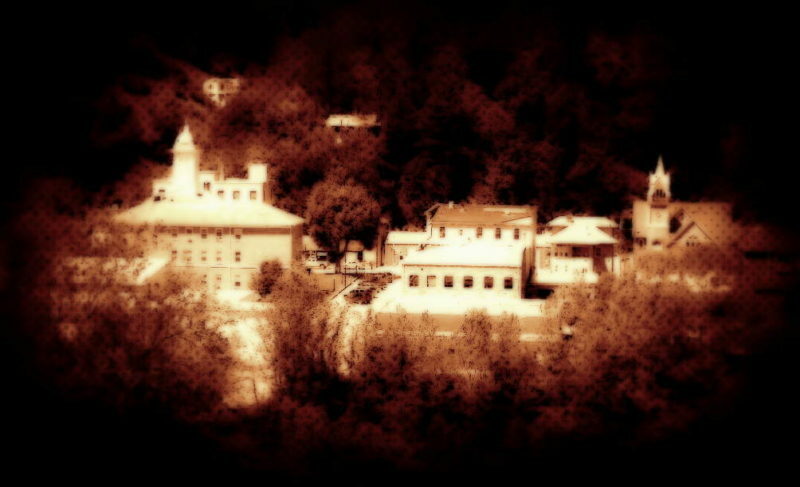 One of the most publicized cases of extrasensory perception (ESP) reported in West Virginia involved the deaths of a mother and six children in the town of Sutton, near the very center of West Virginia, on February 19, 1911. The tragedy unfolded shortly after midnight in Sutton, though the incidence of second sight was reported at Charleston, more than 60 miles away, according to historian Jim Comstock, who recounted the details in the W.Va. Heritage Encyclopedia in 1976. A tragic fire in Sutton shortly after midnight on Saturday, February 19, 1911, claimed the lives of seven people. What is remarkable about this event is that at the time it occurred the sister of one of those who died had a vision of the fire and of the death of her loved ones, although she was in a Charleston hotel when the tragedy happened. Harry Hines and Lon Kelley, both lawyers from Sutton, had earlier that evening checked into the Kanawha Hotel in Charleston with their wives. Around midnight, when the members of the party had been asleep for some time, three of them were awakened from their slumber by the screams of one of the women who gasped between hysterical sobs that she had seen her sister and her sister’s family trapped in a burning house. So vivid was the experience — she insisted it was no dream — that she could smell flesh burning and heard children screaming for help. She was unable to go back to sleep until a physician was summoned and a sedative administered. Shortly thereafter one of the lawyers was called to the lobby to answer a phone call. He returned pale and shaken with the news that his sister-in-law, Mrs. J. D. Harden, and her children had died in a fire that totally destroyed their home. The story, as told in a contemporary newspaper, stated that Mrs. Margaret Berry Harden, her daughters Margaret Berry, Reva Martha, and Ada Green, and her sons Charles Pembroke, James Desmond, and Paul Haynes, had all died in a blaze of undetermined origin. The newspaper reported that the fire whistle sounded about 12:35 p.m. but that the fire was well under way by that time. The whistle was out of order and did not sound very loudly, so few were at the scene to fight the blaze at first. It was initially reported that the family had escaped by the back door, but, in fact, Mr. Harden, who had been awakened by the smell of smoke in the house, was unable to rescue the children because of the flames. He briefly tried to quench the fire with a hose but found it futile and rushed up the back stairs to attempt to rescue his children. Just as he reached them, however, an explosion knocked him back down the stairs. He then jumped through a window into the year. Mrs. Harden apparently fell from a window while trying to drop one of the children to the ground. The children were found, not burned to death, but overcome by smoke, dead from suffocation.